Make sure you check out Woodward High School on Friday (9/29) as they'll host Meadowdale in the CMAC Game of the Week at 7:00 pm! Woodward (1-4) comes into the game with 1-1 mark in the SOPL. Two weeks ago, the Bulldogs beat Hughes 42-6, while last week, Hughes beat Meadowdale 13-12. The blue and white will look to defend their home turf by playing strong defense with leaders like Malik Denkins and Terry Durham making impact plays in their front seven. 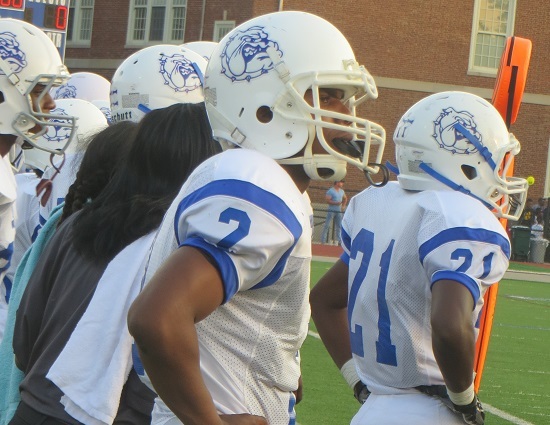 Quarterback D'Marco Gazaway will need to have a good game as well if the Bulldogs want to get back to winning ways. Meadowdale has given up the most points in the entire SOPL so make sure you keep an eye on how long their defense stays on the field. There's still plenty of time left in the season and this may be where we see Woodward make their move as they will want to get back to the top of the SOPL American Division. We'll see you at Woodward High School at 7 pm!